When sorting through prospective wedding music, it's easy to separate pieces into "classical" and "contemporary" categories; many prefer to stick with conventional favorites, while others use the instrumental versions of beloved pop songs. One composer is blurring the gap between classical and contemporary, and he's become increasingly popular for weddings all over the world. 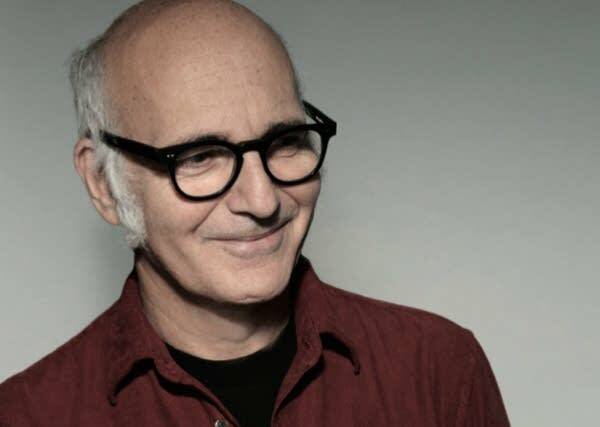 Born in Turin, Italy, Ludovico Einaudi has been writing music for decades. The 59-year-old is well-versed in music history, having studied in Milan's Conservatorio Verdi and trained under Luciano Berio. His work in the movie business is one reason some may know him—film trailers for J. Edgar, Black Swan, and The Book Thief have all featured his songs. In 2011, he wrote music for The Intouchables, a French dramedy about friendship between two men from vastly different backgrounds. At the beginning of his career, Einaudi wrote material like Stanze (plural of "stanza," which literally means "room") and Le onde (inspired by Virginia Woolf's The Waves). But his music started to really gain momentum with I giorni (2001). In fact, the album's title track is one of his most popular pieces for weddings in the United States. Meaning "The Days" in English, I giorni uses piano to develop a captivating snapshot of the passage of time. Einaudi favors ostinato patterns in the musical bass clef, often using strings of quarter notes to build a chord progression that his melodies then transcend. Una mattina, his 2004 album, contains plenty of examples; Nuvole bianche, a delicate, sweeping composition, is the most renowned. In other highlights, the album's title track (Una mattina) is a hopeful but serious masterpiece. And the even tempo and tight counterpoint of Ora make it feel like it was composed for a harpsichord. One of the strengths of Einaudi's work is the thoroughness with which he explores musical themes, letting them bloom from all angles but never exhausting ideas. This skill stands out in 2006's Divenire, which many would call a career highlight for the Italian composer. Divenire's average running time is six minutes and fifteen seconds, which feels like just enough time for pieces to develop without straying from their cores. Actually, Fly, Primavera, and Divenire make up the trifecta of his most popular pieces, and they all come from this album, boasting harmonies that are as crisp as cold autumn air. Divenire starts off slowly with the ambient piece Uno, but the music goes on to reach inspiring heights. Nightbook was next to be released, and became a bestseller in Italy. Eros, a particularly lovely cut, is full of enthralling melodic musings. Like that song, though, the whole album is calm—Einaudi traded in the sweeping crests of Divenire for slow, pianissimo songs that simmer but rarely boil. Lady Labyrinth, a track driven by percussion, is the pleasant but out-of-place exception. Following the relative minimalism of Divenire and Nightbook, 2013's In a Time Lapse brought electric guitar and ambient percussion into the musical mix. Inspired in part by Henry David Thoreau's Walden, the album can be quiet and even spare at times. But pressurized strings maintain tension even then—never does the music go slack. Two Trees recalls Einaudi's early work by featuring a single piano that scales complex harmonies and dynamics. Especially during peak moments like the climax of Run, when triumphant strings trample piano chords for a powerful 90 seconds, the whole album feels like a complete package of highs and lows. Just after the original Time Lapse was released, several artists contributed work to a remix album and put that out, too. In a Time Lapse—The Remixes provides a fresh way to hear Einaudi. While remixing Experience and Work, American dubstep producer Starkey added bass effects and creaking electronic tones that have more in common with Purity Ring than Pachelbel. London Grammar's Dot Major took a crack at Time Lapse, layering percussion, electronic effects, and Enigma-esque choirs over the original piece to provide extra depth. It's interesting to trace the motif of language through Einaudi's oeuvre, since he typically used Italian titles for songs and albums before releasing Nightbook in 2009. French names, like Le onde, would show up occasionally. Most of the foreign language came later, though, once Einaudi's career started taking off in English-speaking countries. In April of this year, Einaudi's The Taranta Project marked a return to Italian roots, featuring vocalists singing in Einaudi's native language. Though they may prove challenging to find in local music stores, Einaudi's albums (and some of their live-in-concert counterparts) are available on Spotify and iTunes. Likewise, Einaudi's sheet music is widely available on the Internet. Recently, violinist Angele Dubeau recorded an album-length "portrait" of the composer. All around the world, Einaudi's warm, mellow pieces have comforted listeners on various types of journeys. They're excellent company during homework, world travels, or wanderings on city streets. Lately, many are using his music as accompaniment for one of the most important journeys of their lives: the walk down the aisle. Cecilia Johnson is a writer, historian, and waitress in the Minneapolis-St. Paul metro. Debussy is her musical hero.